Johnson&Johnson ACUVUE® 2 Contact Lenses (6 Pack) - A fortnightly disposable daily-wear lens. ACUVUE® 2 disposable contact lenses provide excellent vision correction and comfort using Contour Intelligent Design. Lenses are made of soft and flexible hydrogel material, making them exceptionally comfortable and easy to use. If you are looking for contact lenses that offer ultimate comfort and easy maintenance, ACUVUE® 2 is a great choice. 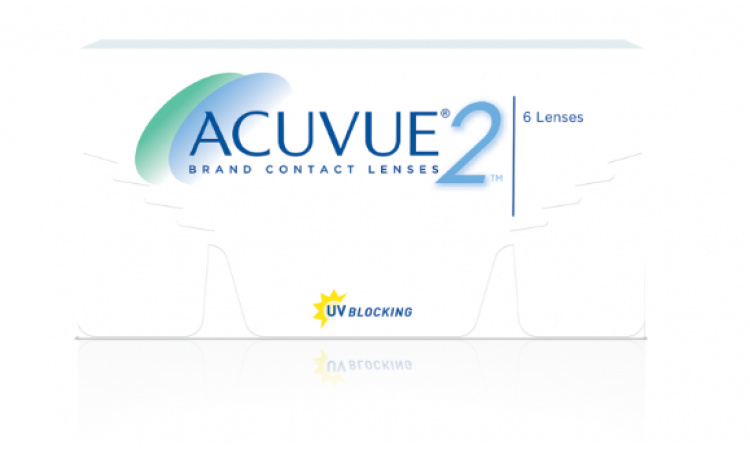 ACUVUE® 2 contact lenses also block out at least 82% of the UV-A radiation and 97% of the UV-B radiation from the sun.